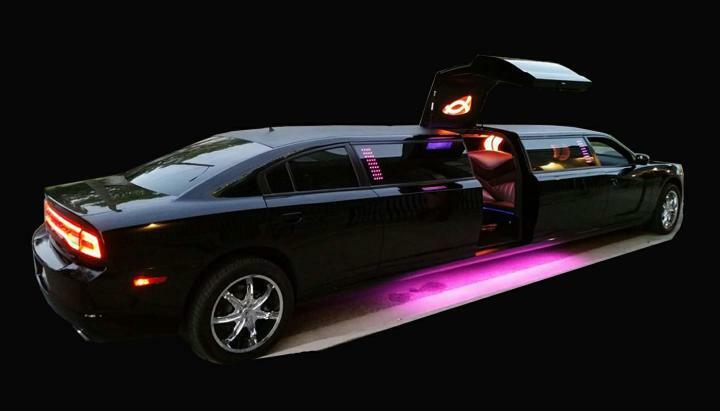 Elegant Daytona Limos is your connection to Daytona Beach's Nightlife. We offer Limos in Daytona Beach for all occasions. Get up to 20 of your friends together and hit the clubs in Daytona with our luxurious fleet of Suv Limos. 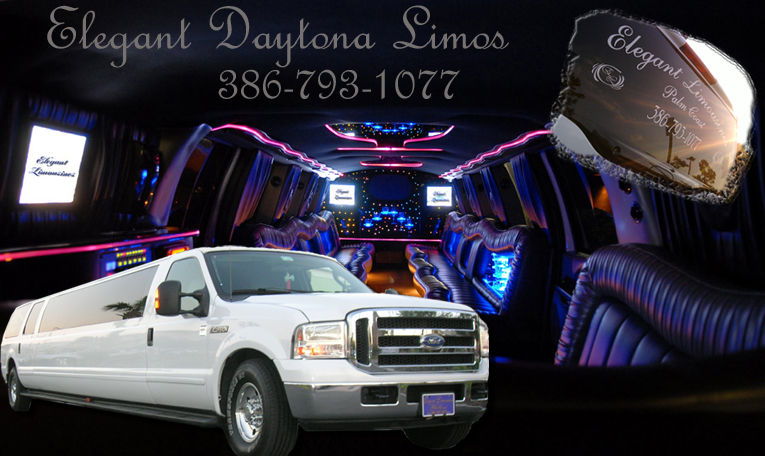 Our fleet of Daytona Limousines consists of our Excursion SUV Limos, Chrysler 300 limos, our brand new Dodge Charger Limo with a gulwing jet door Luxury Sedans and SUV's. We can help you plan your night out in Daytona. We know many night clubs, such as Lollipops, Aqua, Razzles and the Aquarium. . Ladies are you planning your bachelorette party in the Daytona Beach Area? We have Female Chauffeurs ! How cool is that. 5 Star Service, Beautiful vehicles and a Friendly Staff are just some of the things that our clients have come to expect, with every service we provide. Whether you need limousine service for your Daytona Beach Wedding, an SUV limo or Our brand new Dodge Charger limo for a night out on the town, our Easy Online Reservation will guarantee the Best Limousine Service Florida has to offer. 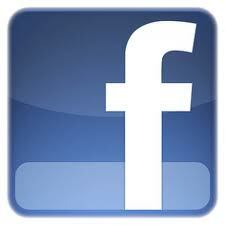 We specialize in organizing special events. Palm Coast & Daytona Beach Resorts have come to rely on us to organize limousine, sedan and corporate transportation for large or small groups visiting Florida for events such as the Daytona 500, Race Week , Super Bowl, Bike Week, UCF Arena Events, Jacksonville Jaguar games, Alltel Stadium, Florida Gator events to list just a few. Our informative & Friendly Staff is available 24 hrs a day to answer your questions and help with all reservations.